This beautiful, artistic 11″ plate was handmade in Israel. It can be hung on the wall or sit on a stand for display. 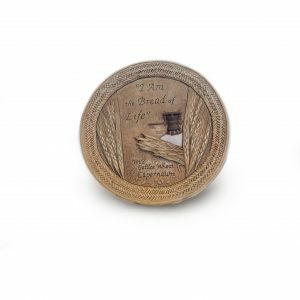 It reads “I Am the Bread of Life” and has the image and caption of “Wild Galilee Wheat Capernaum”.